Vilcabamba has a reputation. It’s become a hippie-expat safe haven. It’s popularity grew alongside it’s growing population of centenarians. Folks flock to places like this hoping to find the secret well of magic elixir that’ll let them live forever too. I for one never understood wanting to live to be a hundred but I’m afraid of physical deterioration not death, so. Either way, this is where gringos go to namaste, sip organic juices that line up with the position of the moon and discuss with deep consideration their findings from their San Pedro and ayahuasca ceremonies. If it sounds like a bunch of granola crunch that’s because it is, and it was just what I needed. A safe place to explore emotions, fears and feelings. I went to Vilcabamba to get in touch with my own inner hippie. She’d been left neglected lately and I needed healing from the inside out. I was road rash-ed by a travel romance as well as weeks spent in the footsteps of travelers unfortunate enough to find themselves tremendously ill. To add to it I’d been wandering under a cloud, literally, everywhere I went it rained. I needed refuge and resolve from my sunken heart. I felt worn down and confused. There’s a place in Vilcabamba that feels like a luxury resort. Beautiful gardens, a pool, hiking trails, a yoga shala fit for the fanciest of people yet welcoming to dirty backpackers like myself. With it comes homemade yogurts and clean food, affordable massages and reiki, even free yoga classes. All for under $10 a day. All you have to do is go through the trouble of getting there. Done! Traveling can start to feel like you’re dragging a long string. Every encounter, every experience becomes a knot in your line and usually you can keep up, keep the line steadily reeling in while leaving a soft slack. Sometimes things happen too fast, too many knots of too many sizes and the cord becomes tangled, wrapping itself around you and tripping you up. It’s important when this happens to breath deep and gently release yourself from the hold when all you want to do is violently cut yourself free. But each one of those acquired knots represents a person, a memory, a lesson; things not to be taken lightly but to be handled with care because these are the things you gather from travel. You can’t hang them on a wall or set them on a shelf. You can’t drive them, insure them or upgrade them. They are intangible but special, individually unique, authentic moments that become part of you. You are one with the line, to destroy it in haste would be destroying what makes you. So you must climb out of the weaved web slowly with intent and care not to unravel those important little knots. The tricky part is to do this with as little alcohol involved as possible. But keep in mind that rules for love, lust, friendship, all work differently on the road. You experience other people more deeply and much quicker. Real connections are rare, however when they do happen it can be intense and important but with everyone always on the move, just like that they’re gone. They might be flash in the pan relationships but with lasting impressions. I had recently made a very significant connection that had caught me like a fish on a hook and there was no gentle way to free myself. Might even leave a scar. I needed healing. That’s what Vilcabama’s for. So I came and I drank all the concoctions, ate green things and questioned the alignments of the planets before standing on my head. I participated fully in each vinyasa flow, took thoughtful walks in nature, dabbled in kundalini, meditated on my demons and successfully found real release. These yogis are on to something. One quiet evening after a whole day of unsuccessfully trying to quiet my mind I took a stroll into the small town. I sat at the end of the stairs leading to the church positioned in the center of everything and watched the people in the square. Kids ran and played, adults chatted. Conversations about oils, organics and healing sessions filled the air. The most eye catching person there was an insane, grown man who was running around after paper airplanes. I judged him, laughed at him under my breath, and eventually understood I was jealous of his uninhibited disconnect from the world around him, how little I or anyone else mattered. The kids didn’t judge, they joyously joined in. 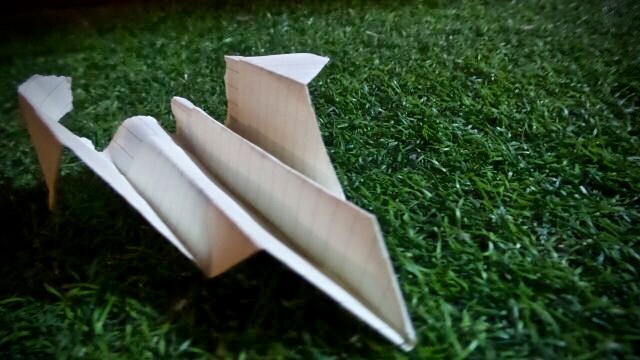 And when a paper plane landed at my feet I instinctively picked it up. I looked up to meet the eyes of the insane one who was panting and grinning like an over excited golden retriever. I made a choice to let my fears board the delicate paper wings and pushed them forcefully away from me. It was instantaneously elating and one hour later I was covered in sweat and smiling brighter than the sun. After all my many complicated, thoughtful and at times forced efforts I had unexpectedly experienced my most cathartic therapy from flying paper airplanes. Go figure, such simplicity. I hugged that man for a long time, thanked him and set off into the most fiery sunset over Vilcabamba with a new, important connection, this time to myself. The lesson…stay vulnerable. It’s not easy but it’s worth it. Namaste, everybody.